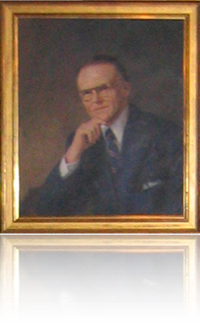 Firm founder Curtis Lyman was born and raised in Albion, NY. A graduate of Hiram College and Cornell University College of Law, he was admitted to the practice of law and returned to Albion in 1951. He left the firm of Church, Lyman & Church in 1961 to start a solo general practice at 51 N. Main. Curtis continued the tradition of a legal practice at this address, which had previously housed the lawfirm of Signor and Wage, Signor and Signor, and lastly Charles Signor. In 1974, Governor Malcolm Wilson appointed Curtis Sr. the District Attorney, which position he held until the end of 1985. The partnership of Lyman & Lyman was first formed when he was joined by his son Curtis Jr. in 1978 and later son Nathan in 1981. The firm was a general practice firm, engaged in matrimonial and family court, criminal law, commercial law, bankruptcy and real estate. Curtis Jr. left the firm in 1985. Curtis Sr. continued the practice of law until his untimely death in 1992.